Got the below charity fair detail from AF. 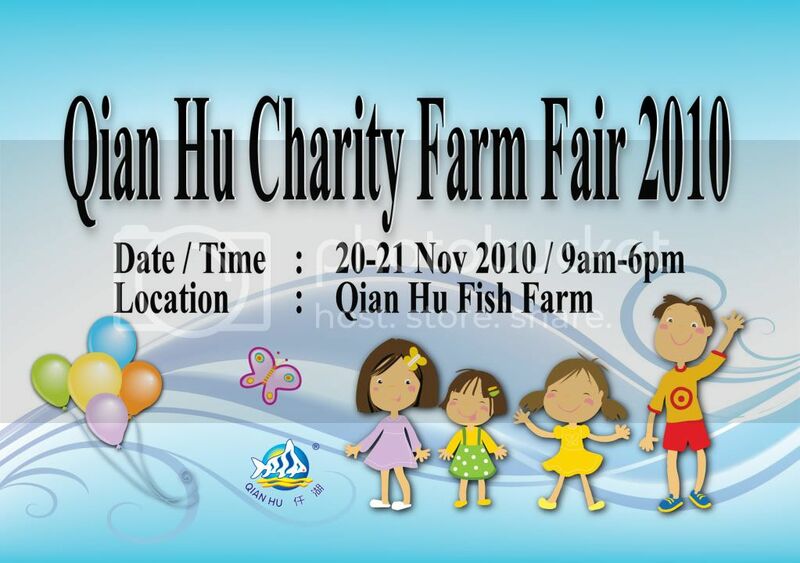 Qian Hu Corporation Ltd is proud to announce Qian Hu Charity Farm Fair 2010 is here again to be held at our fish farm! Expect a fun-filled festival for everyone while contributing to a good cause. Enjoyable farm outing for the entire family! Please come and support this meaningful event. Hope to see all of you there. Are we going to have a group outing? Have to see whether AQ or some members willing to organise one. If not, just take the free feeder bus from CCK bus interchange to go to the fair. I would love to see some rock bottom priced ehiem 2213 filters for sale. no shutter bus from BoonLay? According the Qian Hu website and the advertisement above, the shutter bus service is only available in CCK. i think i will be going, anyone else going ne? yea, i'm going. they sold me a faulty HOF, going back to get it repaired.